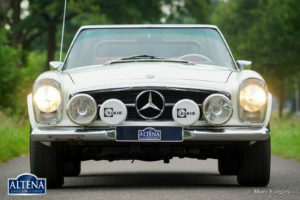 Mercedes-Benz 280 SL ‘Pagode’ (W113), year 1968. Chassis number 113.044-120033XX. 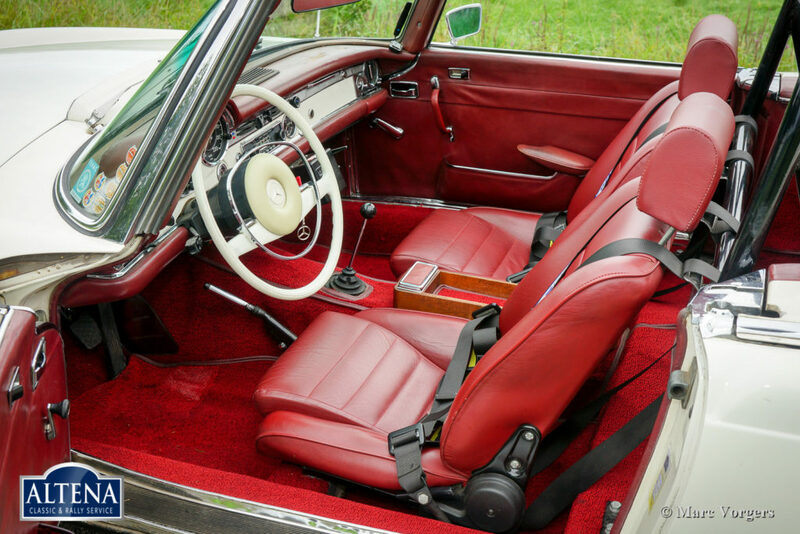 Colour white with a red leather interior and red carpet. 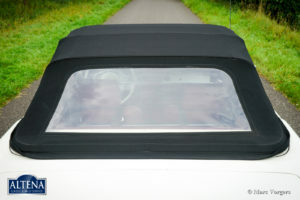 Original red hard-top and a black Mohair soft-top. 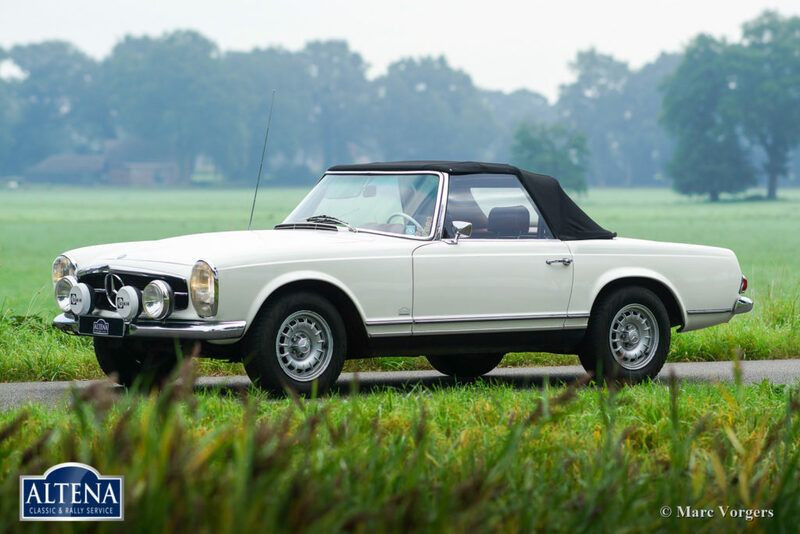 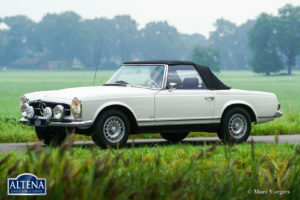 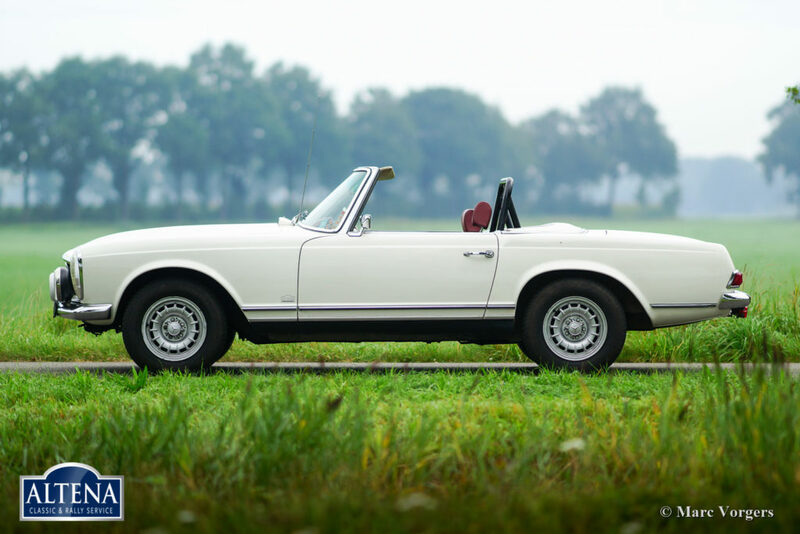 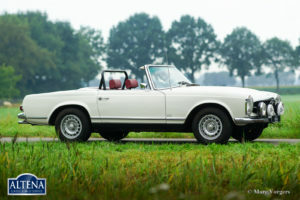 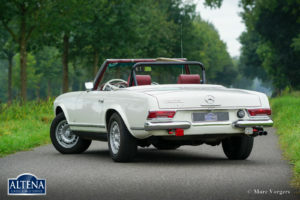 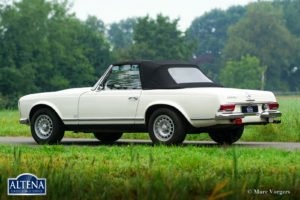 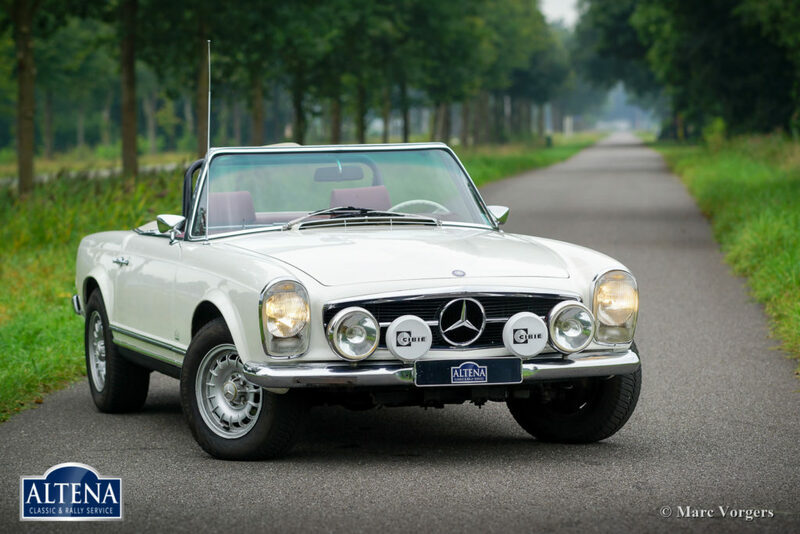 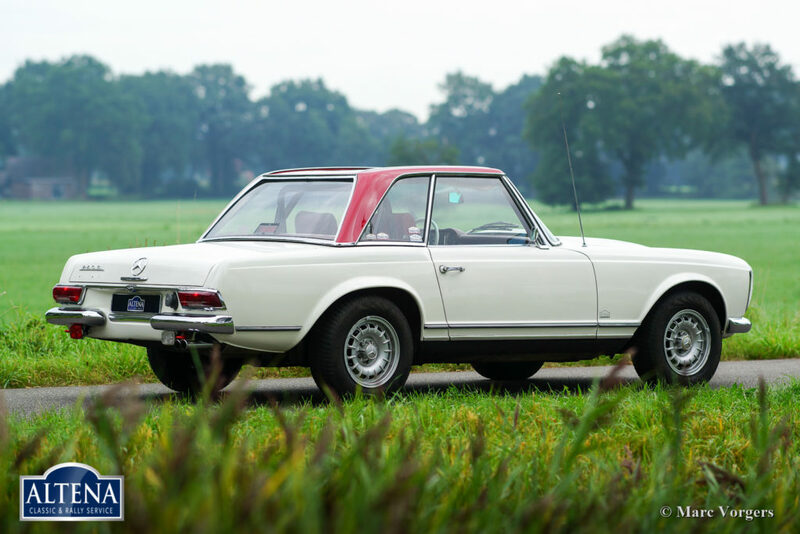 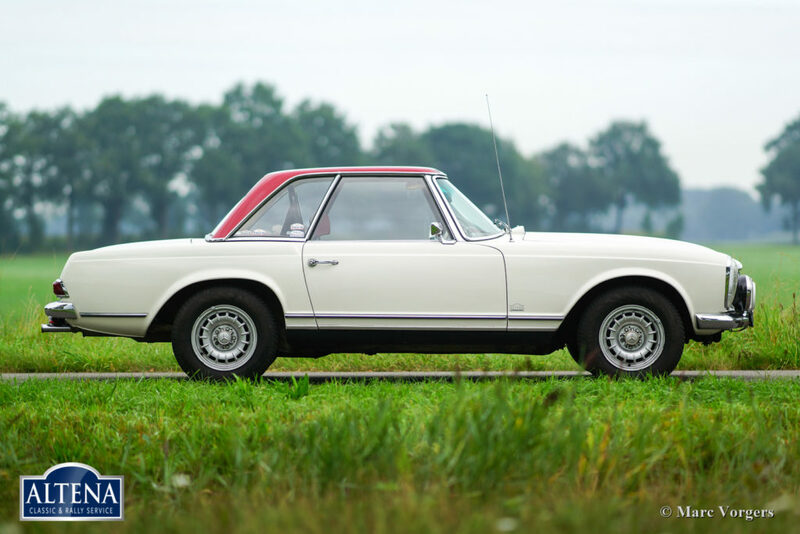 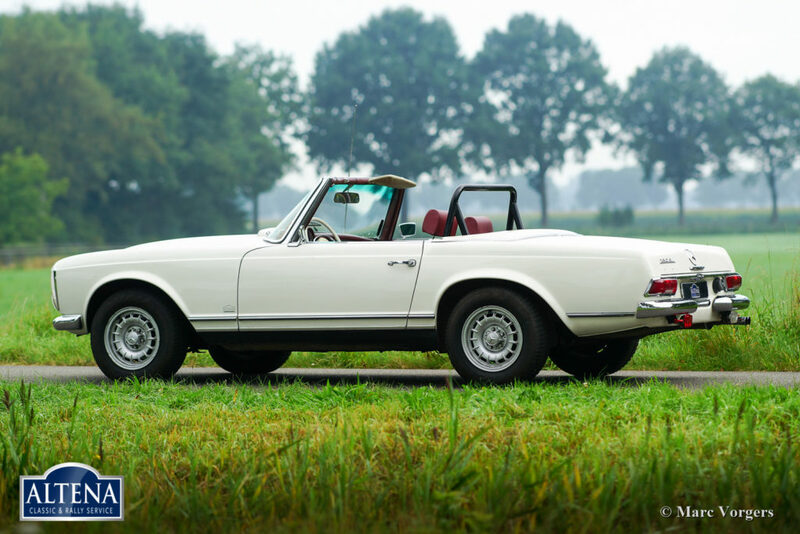 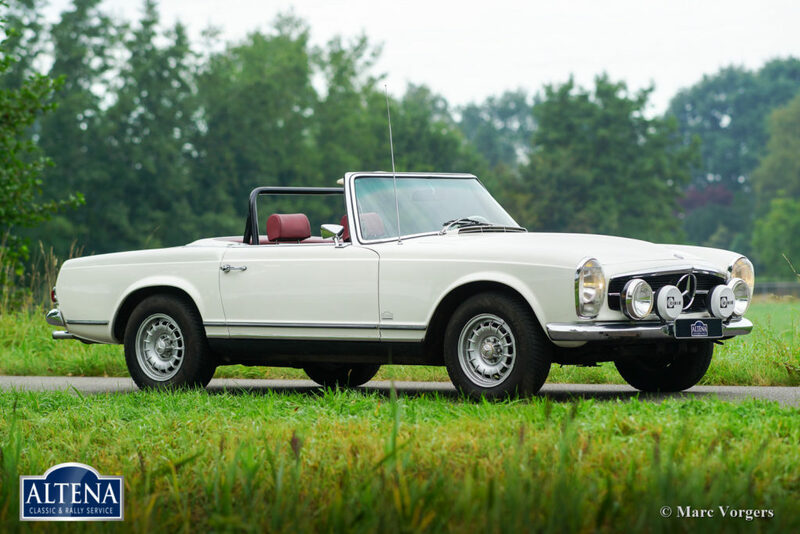 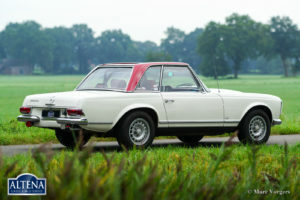 This very nice (European) Mercedes 280 SL was imported to the Netherlands in the year 1999. 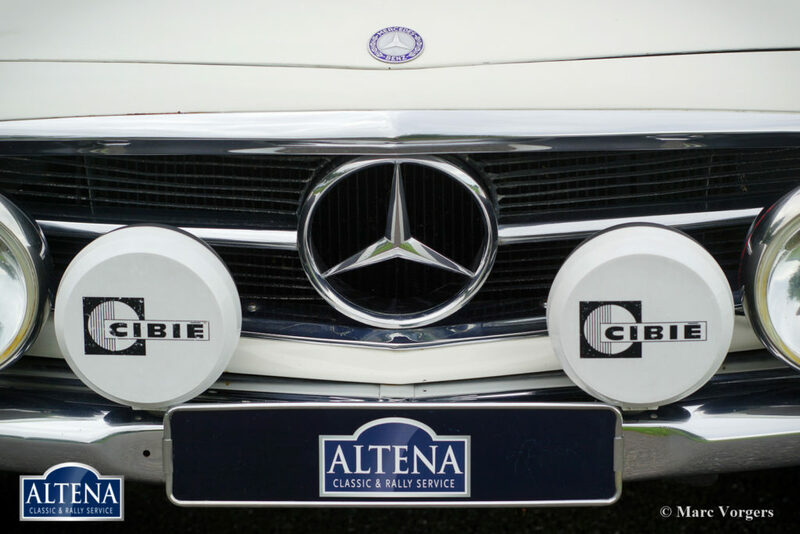 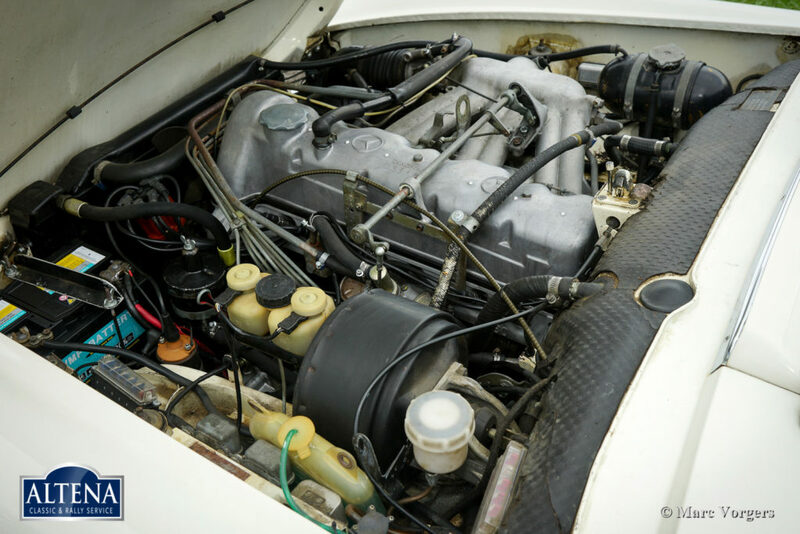 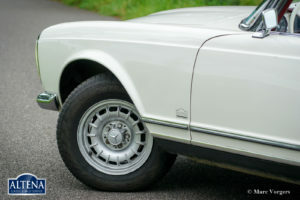 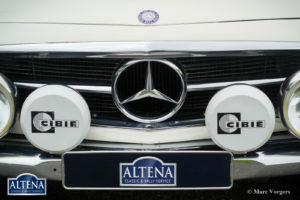 Since 2008 the car has been serviced and maintained in the workshops of Altena Classic Service. 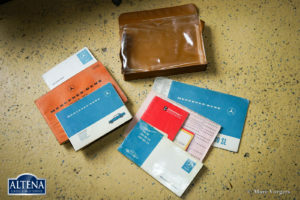 All the service invoices are present as are all the original booklets and manuals. 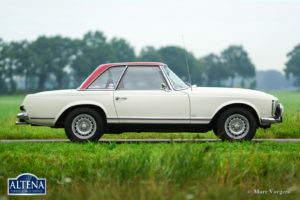 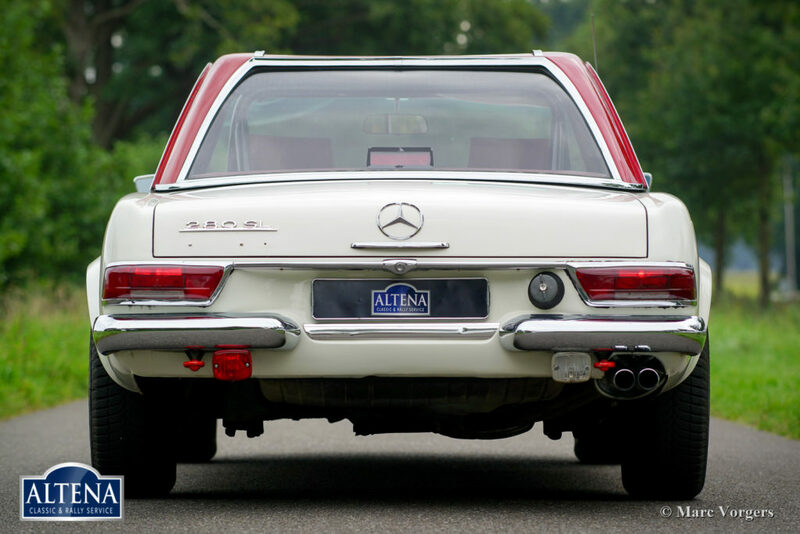 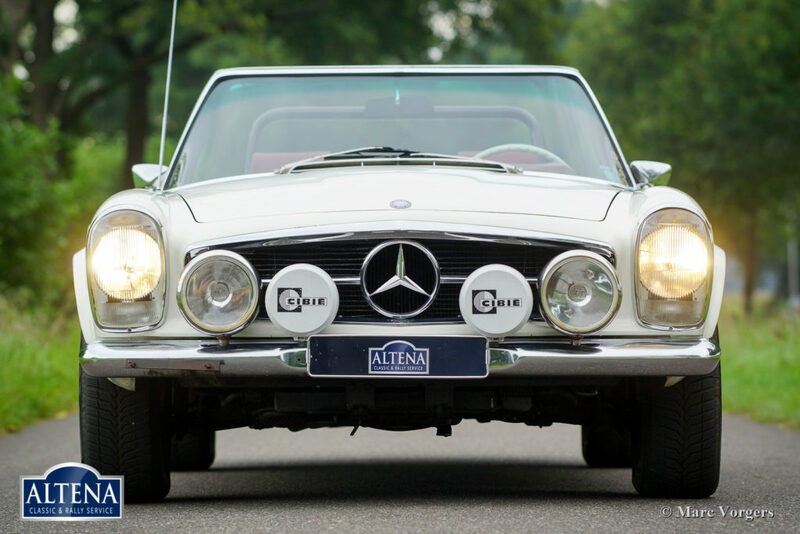 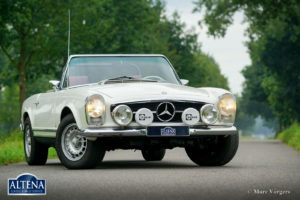 This 280 SL is in good to very good driver condition with some signs of use. 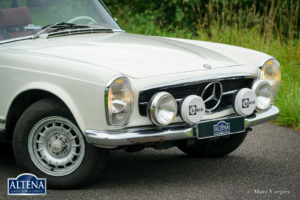 The car was slightly modified for historic rally participation and the car drives perfect. 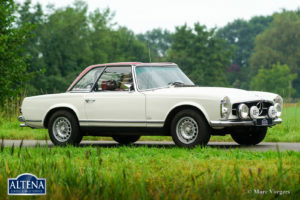 Over the years this 280 SL has participated in the Winter Trial and in the renowned ‘Tulip Rallye’ in the years 2011 until 2017! The Mercedes has just undergone extensive service so the car is ready for any adventure! 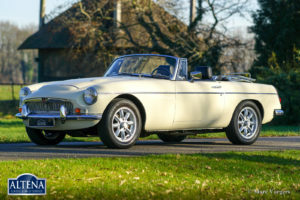 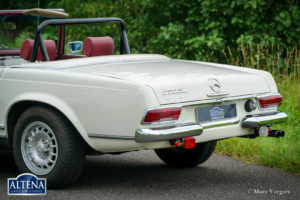 The automobile features original MB alloy wheels, additional fog- and spot lamps at the front, fog lamp at the rear, a custom build roll bar (which fits snugly under the soft-top and/or the hard-top! 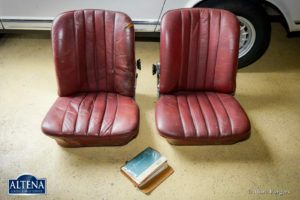 ), a GTI Rally-Twin, excellent sports seats, 4-point safety harnesses, two 12V sockets under the dashboard and a wonderful classic Becker radio. 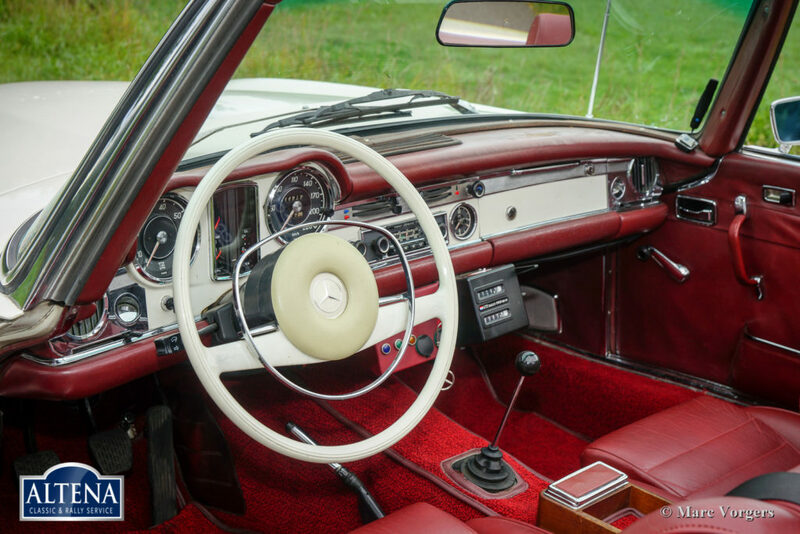 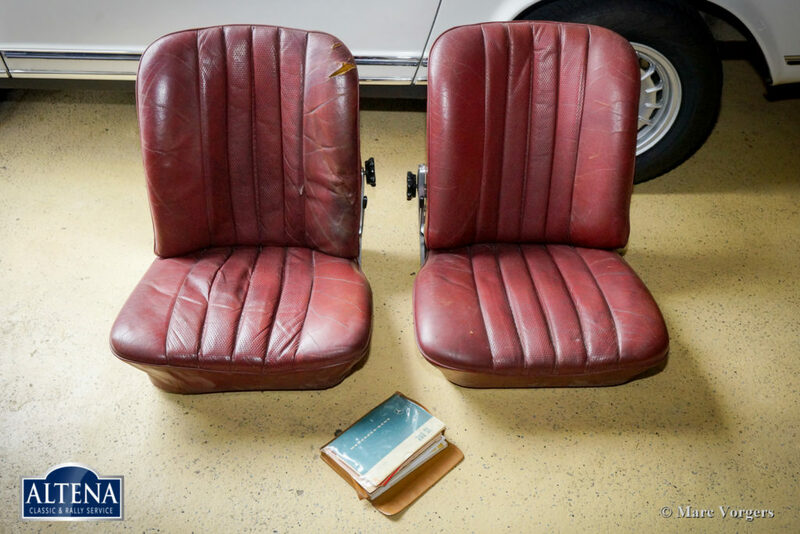 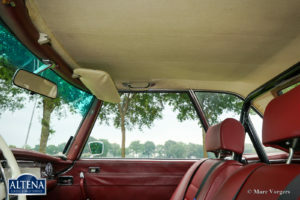 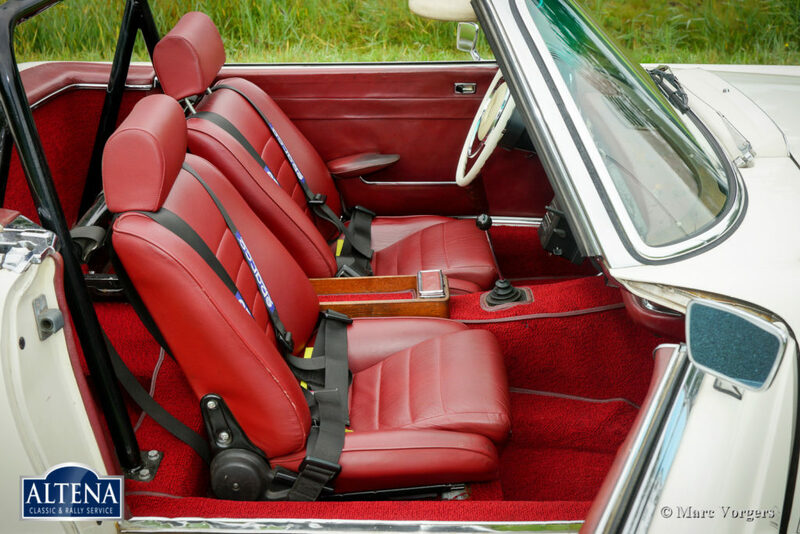 The original red leather seats are also present, the automobile can quite easily be reverted to all-original condition. This is a perfectly driving and handling 280 SL!